Why Is Shopify Targeting CBD Businesses? Get Approved For CBD Processing Now! Although CBD has been rapidly gaining support and even legalization in certain states, it still has not been accepted by mainstream financial institutions. Mainstream, all-in-one payment processors are using their clout in the credit card processing industry to devastate businesses in the CBD industry. There have been many instances of companies going completely out of business solely because Paypal or Stripe refused to process transactions from customers. All of these notorious payment processors seem to have the same terms of service, including Paypal, Stripe, Square, Etsy, Amazon, eBay and Shopify. Account shutdowns have been occurring more frequently and, in many cases, without any notice. They have been targeting and dismantling hundreds of accounts that are selling CBD and even merchants not selling any “illegal” substances. The trend over the past month has been, “Anything associated with CBD is fair game!”, including companies that only sell merchandise or accessories for other CBD products. Since laws vary from state to state, most banks and nationwide financial institutions are not willing to take on the risk being associated with products that may still draw legal scrutiny. In turn, they won’t allow CBD credit card processing transactions to run through their systems. Because these processing giants operate across state/country lines, they are inclined to follow laws at a federal level rather than at the state level. 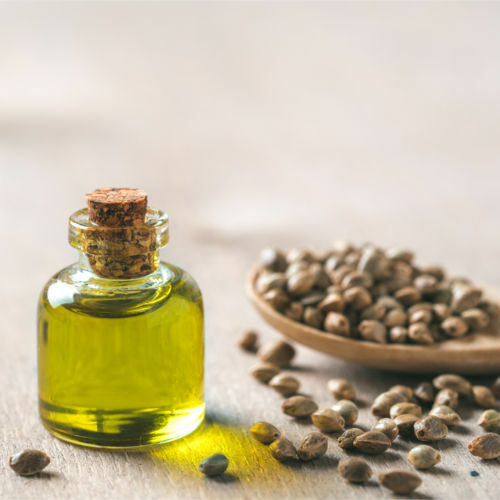 However, many of the account closures forced upon merchants selling products merely associated with CBD, under claims of illegal items, is completely unwarranted. The federal government and the financial institutes, bound to their laws, group CBD and THC (which is the actual active ingredient in many illegal marijuana products) together without any differentiation or leniency. The government seems unwilling or unable to separate these two ingredients and apply sensible laws to properly handle regulation. This is why PayPal prohibited businesses still include many companies that have nothing to do with products that include THC. The association between the two substances is ingrained into the government and consequently the general public’s awareness. As soon as one of these merchants is associated with any sort of CBD activity, a bank risks coming into non-compliance with local or federal ordinances. Although CBD merchant accounts can be easier to obtain in states where marijuana (and CBD by proxy) are legal, they tend to apply to strictly retail, physical locations. This still leaves many issues for merchants attempting to sell online to the entire country. Because of the digital nature of the online CBD payment processing, sales and transactions have the ability to take place in states where CBD is a disputed violation or if the customer is in a place where CBD products are illegal. In cases like these, the bank could face severe penalties. This is why, there is a desperate need for a solution that allows CBD merchants to process legitimate online sales, nationwide, without worry of being shut down. In the meantime, consumers who are in need of medical products containing CBD are suffering. This is true especially because many mainstream payment processors like Stripe, PayPal and Square are enforcing a non-CBD policy rather arbitrarily. Accounts are shut down without warning. People who may have relied on this channel to pay for CBD products are suddenly robbed of their distribution channel. If no one sells those products in the local area, then the customer is basically stuck with no recourse to their illness. Thousands of customers rely on the ease of connecting with CBD providers online since many territories impose sanctions on maintaining a physical storefront with any cannabis product. It is essential that you understand the risks of relying on any payment service that has not applied itself specifically to operating inside of and protecting the CBD industry. At any point, that company can close down your CBD merchant services without telling you anything beforehand. If your customers are used to transacting with you through that platform, you could have months of downtime before you can sell to them again. Your payment gateway is truly a gateway to your customer base. Having the ability to process credit card payments is vital to any company in 2018, especially online. If you are starting a company that you know may be disputed, then simply getting a PayPal and hoping for the best is haphazard at the very least. Get Approved for CBD Credit Card Processing! Leap Payments is the go-to, trusted CBD merchant account provider that you need to ensure that your customers have a reliable payment solution. We have been working with CBD companies for years and know the ins and outs of the industry. In short, unlike other pop-up merchant service providers, we are here to stay and pride ourselves in backing the CBD industry through and through. 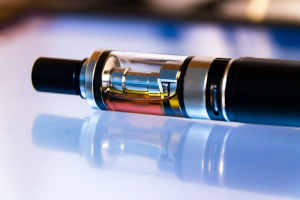 Leap Payments understands the high risk nature of CBD merchant accounts. CBD is an industry that does and will continue to provide countless benefits for thousands of people. The entrepreneurs and dreamers who bravely stand for this industry in the trials of today will reap the benefits tomorrow. With Leap as your processor, you can boost your businesses growth through debit and credit card payments today. We minimize your processing chargeback risks and offer sensible processing rates with no hidden fees, helping to maximize your profit margins. As for approvals, we understand the cannabis industry specifically. We will work with you to ensure that your business is fully compliant and ready for underwriting to get approved. You will also never have to worry about us arbitrarily closing your account without notice. If you’ve been running a PayPal or Stripe CBD business, you will always in jeopardy. Why give them all of the power while you take all of the risk? Moreover, why take on undue scrutiny that you do not deserve? You are doing business legally and providing a positive service to the community. You deserve the right to do business with dignity as well. This is what we are here for. Online and retail debt and credit card processing for CBD shops is difficult, but, with the right partner, it is obtainable. The cannabis industry has just as much of a right to do legal business as any other industry. Do your part – give your customers the chance to transact on a CBD payment gateway that has pledged its support to giving businesses a legal, stable CBD merchant account – Leap Payments. Save time shopping around for the best high risk provider! High Risk Accounts, The Lowest Rates, No Hidden Fees, and Much More! Will your gateway function on a Squarespace platform? Unfortunately, at this time, Squarespace does not allow any third party payment processing integrations. They only accept Stripe, Paypal, Venmo and Apple Pay. Squarespace is not the best website platform for high risk merchants. We tend to recommend WordPress/Woocommerce, Shopify or even Wix if you do not have a web developer. If you have any other questions about getting a high risk merchant account, please give us a call at (800) 993-6300.